Hits: Vol. 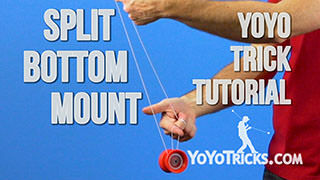 3 Frontstyle Speed Combo Series Yoyo TrickThis is the third video in the Frontstyle Speed Combo Tutorial Series where I will be going over the concept of hits in the split bottom mount. Now, hits are a really great concept to learn because they can be done from almost any position in the split bottom mount. 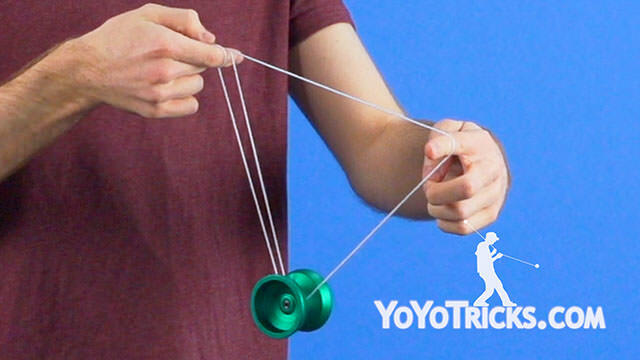 Since they can change the direction that the yoyo is going so quickly and abruptly, they not only allow you to control the pacing of your tricks, but also gives you the illusion that you are yoyoing faster than you really are. The first hit to work on looks like this. 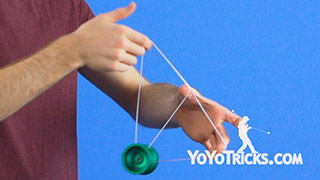 This one is done by taking the yoyo and passing it over your non throwhand. Then you are going to take your throwhand and you are going to pull down while pulling up on your non throwhand. 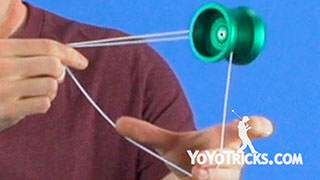 You will see that this allows the yoyo to hit the back two strings with a lot of force. You are going to use the momentum you create from this to pass the yoyo back over your non throwhand into a split bottom mount. The second hit we are going to look at looks like this. It is done from a split bottom mount with an extra wrap on your finger. If you do not know how to get that wrap, make sure you check out our Passes and Rolls video. 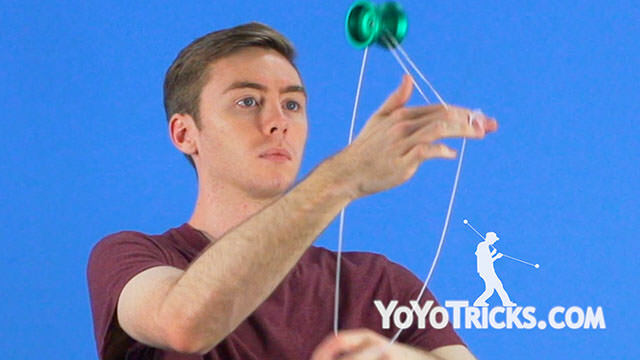 So what you are going to do from here is simply take the yoyo, swing it onto both strings over your throwhand, and you are going to swing the yoyo back into a split bottom mount. 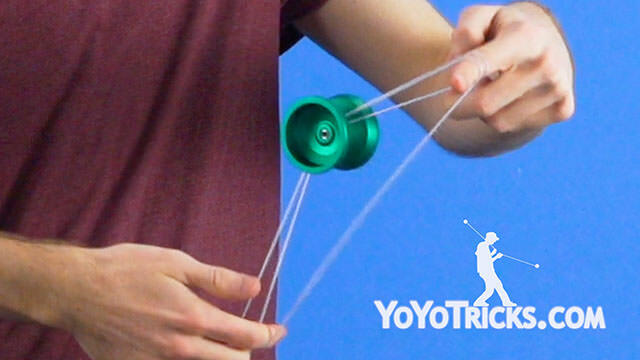 Now you want to make sure you have that wrap because if you do not, it is going to be a lot easier to miss that top string and land in a double on split bottom mount. And that is not what you want to do. For the third hit, it is going to go on the outside of your wrist and it looks like this. To do this, you are simply going to take your throwhand index finger, point it outward from you. You are going to land the yoyo on both strings. 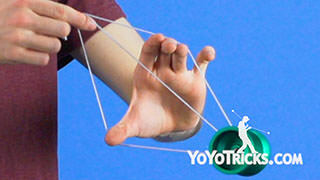 Then you are going to dismount the yoyo, pointing your index finger back towards your body. You will be back in a split bottom mount. 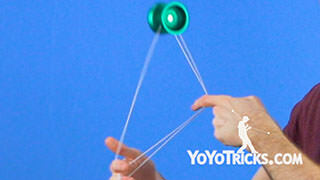 Now, this hit flows a lot smoother if you do it with the momentum of a barrel roll. You want to take this hit and the other ones we were working on and try combining them in sequences we have learned throughout this video series. That way you will be one step closer into creating the ultimate frontstyle speed combo.